Those people can go somewhere else. The armybase should close. “Now, while we would like a beautiful park where the fort is located, we must consider the proper defense of the metropolis of this country which promises to be the future metropolis of the world,” the local congressman said a month later. These arguments no longer hold. We would like a beautiful park where the fort is located, period. 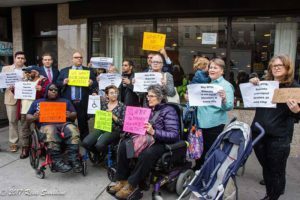 The issue continued to be raised, because even if the U.S. military couldn’t see, people in Bay Ridge knew that an enormous waterfront park would do much more for the community than an armybase ever could. 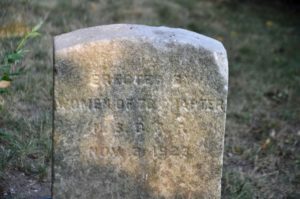 “Old Fort Hamilton…is due to pass away, if the residents of the vicinity have their way,” the Eagle reported in 1924. There appears to be no opposition to the movement among residents of the section. The hue and cry comes from army officials. Practically every civic organization is behind the park plan, and there is every indication…that a big fight is in prospect. That fight was apparently lost by the community, as the base remained open, but the dream persisted. 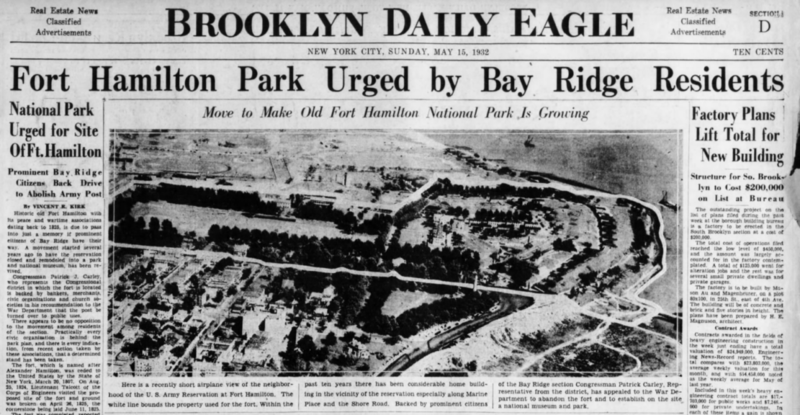 “It is hoped that the United States Government will some day turn the Fort Hamilton reservation over to the city for a shore front park,” the Eagle reported in 1925. This is still our hope! Carley added that the war department could still use the park to mobilize troops if it were ever necessary, the Eagle reported. “How much would development such as you suggest cost?” [Carley] was asked. “I have no way of ascertaining that,” he replied. “Certainly it would be less than it now costs to maintain it as a military post. 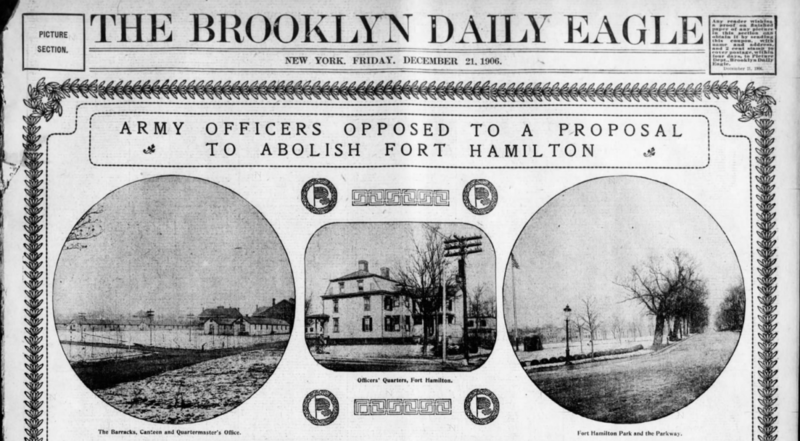 “Posts may be needed by small cities in remote parts of the country for economic reasons, but Fort Hamilton is not required here for any such purpose,” he added. This holds true today, but somehow the community position became reversed. Douglas MacArthur, then a major general and chief of staff of the Army, refused to consider Carley’s plan, according to the Eagle. 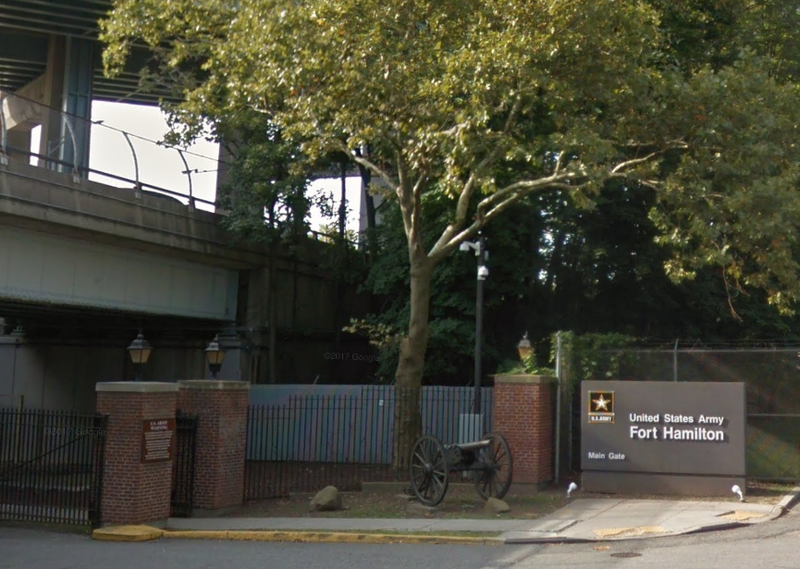 According to General MacArthur, Fort Hamilton is a vital point in the inner defense scheme of the City of New York. He stated that it served as an ideal location for the concentration of troops in times of emergency. 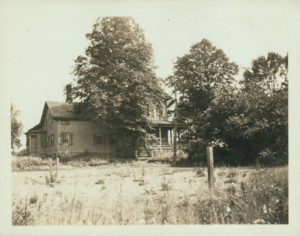 Representative Carley…informed [the War Department] that he would withdraw his request if he could be convinced that the fort was a vital need. He did not say that he was yet convinced by the general’s reply. There’s always a new reason why we supposedly have to save it. Originally, as Taft knew, it was to protect New York City. Fort Hamilton flew its first flag in 1831, built to protect (with Fort Wadsworth opposite) the entrance to New York Harbor; but it was obsolete by 1948, when the last gun was removed. “Never in its history was the fort fired upon, and no combat training takes place there,” the Times reported in 2013. More recently, new excuses have been offered. After September 11th, it was to fight terrorism; after Superstorm Sandy, it was to coordinate emergency responses. “Times have changed, and so have our nation’s military requirements. Today, much has to do with surveillance, information-­gathering, the detection of potential attacks by terrorists—and the readiness to effectively respond to any that do occur,” according to the FHCAC website (which makes it sound like the army is spying on us). “Fort Hamilton is a very different installation than it was years ago; it has become a key player in all of the areas just mentioned.” But I’m not convinced that military presence requires 150 acres of prime real estate in the middle of our neighborhood—that these jobs couldn’t be performed from elsewhere. Why keep that waiting room open when it could be a park instead? 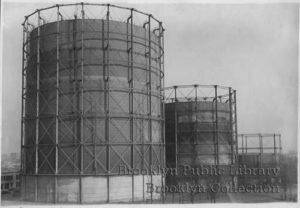 In New York, we have a rich history of decommissioned military installations going on to become attractive greenspaces, from Fort Wadsworth and Fort Tilden to Montauk Air Force Station. Governor’s Island was transformed from a coast-guard base to the most cutting-edge park in the city (excepting the High Line, perhaps). Under no circumstances should the base be closed and sold to private developers. It should become public land, with investment from the city and even the feds to adapt its use. The Harbor Defense Museum should be kept (and now people could actually visit it! 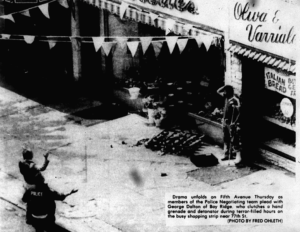 ); the Veterans Hospital wouldn’t have to close; the swimming pool could become a public swimming pool; the fort could continue to host weddings, and the bar and restaurant could even continue to function, raising revenue for the city and the upkeep of the park. Meanwhile, sites such as Robert E. Lee’s old house could be taken over by artists to create public works that honestly grapple with the fort’s Confederate legacy, rather than celebrate it. The apartment complexes along Fort Hamilton Parkway could become senior housing. NYC Ferry could create a stop here under the bridge, making it a destination for people from around the city. 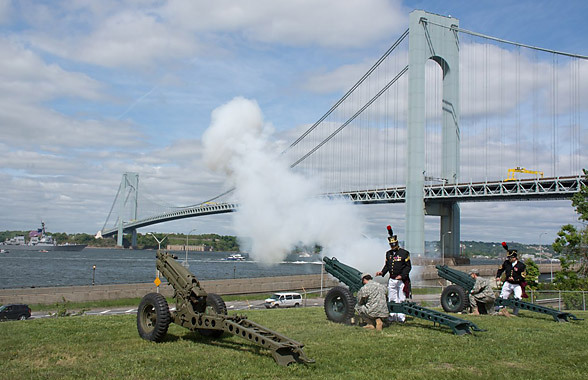 Right now it seems like the armybase offers Bay Ridge nothing but controversy and embarrassment. We don’t need it—and we haven’t, since at least 1906.